‘Celtic brought off one of the biggest upsets of the season last night, when they beat mighty Arsenal, English League Champions, in the first round of the Coronation Cup. The English were never in it after a Collins goal had given Celtic a half-time lead, and the Scots should have made their win more decisive’. ‘Celtic’s win was no fluke. Arsenal perhaps took to the field in over-confident mood. Perhaps their changes were responsible but at no time did they boost English football. Had the Celtic front rank been on a par with the men behind them, then the Gunners’ rearguard would have been riddled four, five, six times. When the goal did come along in the 24th minute, it was entirely unexpected. Collins hit hard a head-high corner. The wind swerved it into goal and Swindon could do little more than punch the ball into the net. So it went on until the interval – a green and white barrage punctuated with sporadic Arsenal attacks that caused Bonnar little trouble. The correspondent for the match at Ibrox was also impressed by the performance of the Scottish side. 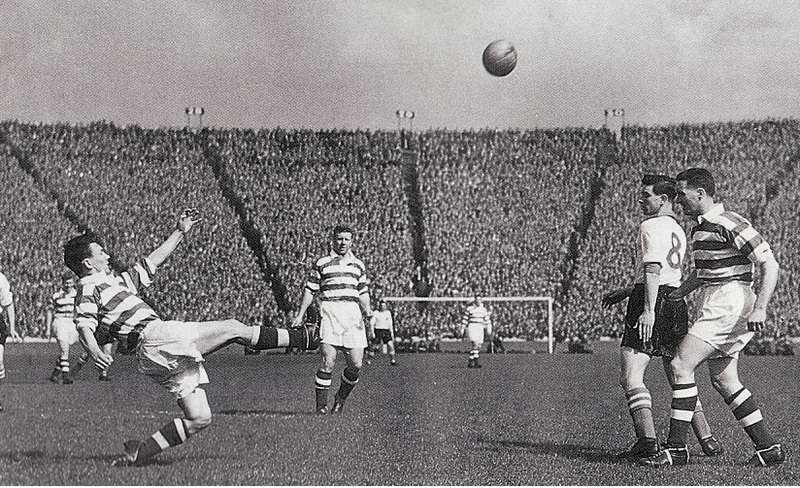 ‘It was early evident at Ibrox that here were two of Britain’s best footballing teams. Hibs, however, were the better side. Over the 90-minute period a draw was a fair result, but in the extra time Hibs came away with a great onslaught on the Tottenham goal’. They failed to get the winner, though, so another game would be played, which by the rules of the competition, would be played the following day, in fact, on this day in 1953, when a disappointing crowd of only 15,000 turned up for the match. 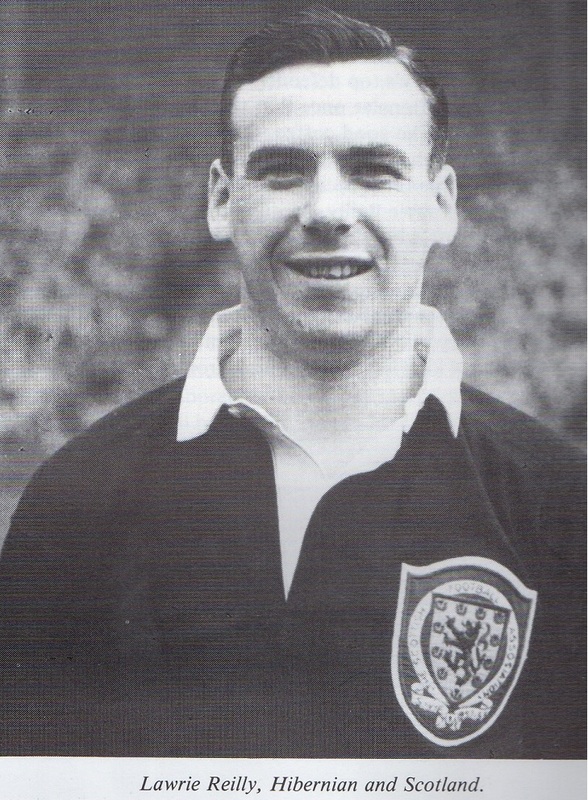 in the 60th minute with a header from a Jock Govan free-kick and, just when the crowd was expecting the match to go into extra-time, he repeated the effort, this time from a Bobby Johnstone cross, to give his team a 2-1 victory and a place in the semi-final.